Whether it’s a lavish party or a small office get together, event planning can be stressful. We’ll take care of the details so you can focus on enjoying yourself! Here’s how we make event planning a breeze. St. Paddy’s Day Party? Whiskey Tasting? Mariachi Band? We’ll make sure your vision is fully realized and your event is unforgettable. All of our bartenders are State-certified, experienced mixologists who are seriously knowledgeable on all of our offerings. Plus, they setup, breakdown, and clean up. Our team is insured, certified, and trained to ID. We monitor and cut off in a non-confrontational and immediate way. Event management for the stars. You’re the star! Like the character from the box office hit “The Wedding Planner” brought to life by the incomparable Jennifer Lopez, we’ll make sure our partners adhere to the highest standards of success. When it’s time for an off-site soiree, we set you up with a venue that works perfectly for your theme and budget. Virtual Reality demos, DJs, AV, tattoo artists, unicorn rental. Whether you know exactly what you want or you need some help brainstorming, our events team is here for you. Remember how your teacher in grade school had the whole year planned out? We do that too! 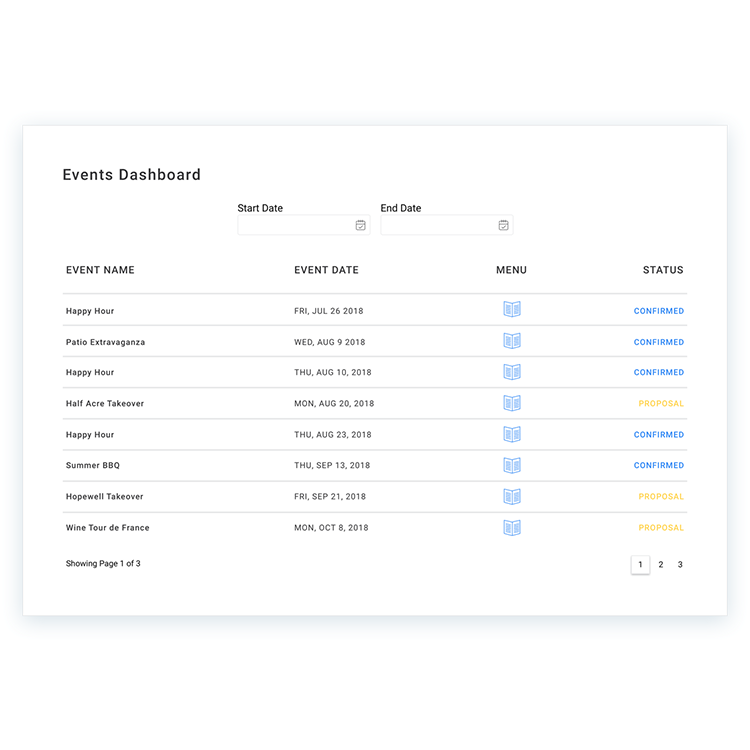 We build out your calendar of events as far out as you want. Gold stars not included. Actually, ya know what? We’ll bring the gold stars.